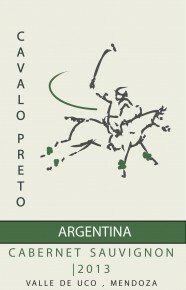 Cavalo Preto Cabernet Sauvignon is a deep ruby color and offers aromas of blackfruits, spices and a hint of vanilla scented oak on the nose. On the palate, layered flavors of chocolate and spice and a long finish. Pairs well with beef roast, rack of lamb and vegetable stew.